In 2002 I wrote a short report report summarising observations made during my participation in a NZ election study tour sponsored by the Australian Political Exchange Council (APEC). The delegation from Australia included representatives from the Labor, Liberal, National, Democrat and Green Parties. Participants were invited to construct their own itineraries focussing on personal and political interests. I must begin by thanking APEC and Gary Gray, who was then one of the Labor representative on the APEC Board, for this opportunity – I am sure that other participants will agree it was an extraordinary journey into New Zealand politics and culture. Our activities focused primarily on the New Zealand Labour Party’s campaign. The study tour included visits to Wellington, Auckland and a day at Rotorua. Our itinerary included (amongst other events and meetings listed in the report): Prior to departure, a briefing at the New Zealand High Commission in Canberra; In Wellington, several meetings with Mike Smith – General Secretary, New Zealand Labour; In Wellington – briefings from Jenny Michie – Women’s Organiser and Communications Officer New Zealand Labour; Labour ministerial staff election campaign briefing – led by Heather Simpson – Chief of staff for Prime Minister Helen Clark; Meeting with David Burchett – IT/Communications Manager for Prime Minister’s office; Meeting with Dot Kettle – Senior Advisor to PM Helen Clark; Meeting with Tony Timms – Advisor to PM Helen Clark; Meeting with Marian Hobbs MP – Environment Minister and Member for Wellington Central and Electorate Representative Jordan Carter; Attended a very entertaining old-school town-hall-style ‘Meet the Candidates’ function at Kiora Community Hall (for Wellington Central candidates); Attended fundraising performance by ‘Hen’s Teeth’ for Ohariu-Belmont Campaign; Visited Te Papa National Museum Wellington; Attended Televised Candidates Debate (front row seats! ); Lunch meeting with Chris Eichbaum – Senior Advisor to Hon Steve Maharey MP, Minister for Social Services, Employment, Tertiary Education; Meeting with Mike Williams–New Zealand Labour Party President and Campaign Manager; Meeting with Stephen Mills – Managing Director, UMR Research Ltd.; Attended Labour Campaign Launch – International Wharf Wellington; Accompanied General Secretary Mike Smith and Assistant General Secretary Murdo Macmillan at official briefing by Mark Johns, Manager of Operations Electoral Enrolment Centre, New Zealand Post; Briefing with Labour Auckland Regional Organiser Andrew Beyer and Labour Maori Organiser Jason Ake; Attended Campaign Meeting for Maungakiekie campaign (Mark Gosche MP); Meeting with Chris Carter MP at his electorate office; Meeting with Jonathan Hunt – Speaker of the New Zealand Parliament; Assisted with preparations for Helen Clark visit to Manakau Westfield shopping centre; Met Prime Minister Helen Clark at Manakau Westfield (and have a bad photo as proof! ); Visited Waitakere Campaign Office in Glen Eden; Meeting with Labor candidate for Waitakere Ms Lynne Pillay; Meeting and briefing with Waitakere campaign manager Don Clarke; Sign Painting, door-to-door canvassing, billboard construction in Waitakere; Campaigning in Atoa Markets – campaigning/leaflets; Briefing with John Utting and visited UMR polling centre in Auckland; Attended Auckland Labour Party campaign directors meeting; Meeting with NZ Engineers Union organisers and activists at Auckland office; Going door-to-door to get out the voters on election day; Scrutineering during the election and in the evening during the count; and (on one day of rest) visited Whakarewarewa Thermal Valley and Maori village at Rotorua. The Mixed Member Proportional (MMP)* system was adopted in New Zealand in 1996 via referendum as a solution for the electorate’s frustration with the existing first-past-the-post system. Voters were fed up by the behaviour of previous governments, which abused the unchecked mandate delivered by a first-past-the-post system. MMP effectively ensures that no single party can rule in its own right. The election on Saturday 27 July 2002 was the third election under the MMP system. Under MMP each voter receives a single ballot paper on which they choose (by placing two ticks on the paper) a local representative candidate (from the list of candidates for the local seat), as well as a party vote. The New Zealand Parliament has 120 MPs. 61 MPs represent 61 general electorates. 6 MPs represent 6 Maori electorates (elected by voters on the Maori electoral roll only). 53 MPs are elected from the party lists in a manner that ensures their party’s final proportion in the parliament reflects their party’s ‘party vote’. In order to be represented in parliament, a party must either reach a 5% threshold in its party vote or hold at least one local electorate seat (in which case 2% of the Party vote will get you a friend elected as well from your ‘party list’). As far as the major parties are concerned, MMP necessitates that the focus of the election campaign is maximising your ‘party vote’, even at the local campaign level. A high party vote ensures that the maximum number of candidates from your ‘party list’ is elected and you are more likely to be part of the inevitable coalition Although Labour won three quarters of local electorates it still needed coalition partners to form a government. As it only won 41% of the party vote it only received 52 MPs in total. 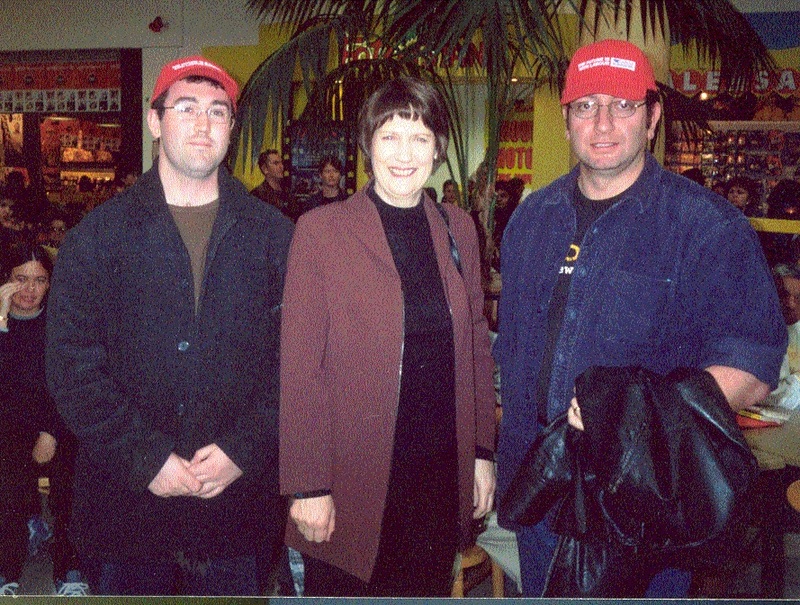 Campaigning is campaigning: The NZ election campaign in a nutshell. The New Zealand election showed that successful election campaign methods are universal: Assess the environment; define your strategy and implement appropriate However, despite the complicated calculations when counting the MMP ballot – the basic political tactics during this campaign remained the same as under any electoral system. Electorally successful parties (Labour, New Zealand First, United Future) increased their popular vote by: having a simple message that resonated with voters, repeating that message ad nauseum in their campaign material, maximising the coverage of their message in free-to-air media and canvassing for votes. Electorally unsuccessful parties (the Nationals and the Alliance) never had a fighting chance because their original strategy was flawed. They targeted the same constituency (with the same message) that had got them elected in 96 and 99, despite all the signs that the political landscape had seismically shifted around them. The leaders of both the Nationals and Alliance spent the last two weeks of the campaign in damage control. Labour won almost three quarters of the local electorates and ended up with three extra seats – enough to form a minority Coalition Government with Jim Anderton (a reliable ex-Labour coalition partner) and another minor party. The National Party was decimated, receiving only half of the Labour popular vote. Traditional National Party voters deserted in droves to other conservative parties who had stolen their traditional message (and constituency) during the campaign. The full report can be found here: AusPol Exchange Hallaj report (apologies for any typos in this 12 year old pdf version of this report). I’ll come back to this post or a linked post to give a run-down of the current New Zealand electoral landscape as well as some coverage of interesting events and observations from the 2014 NZ election campaign, due later this year. 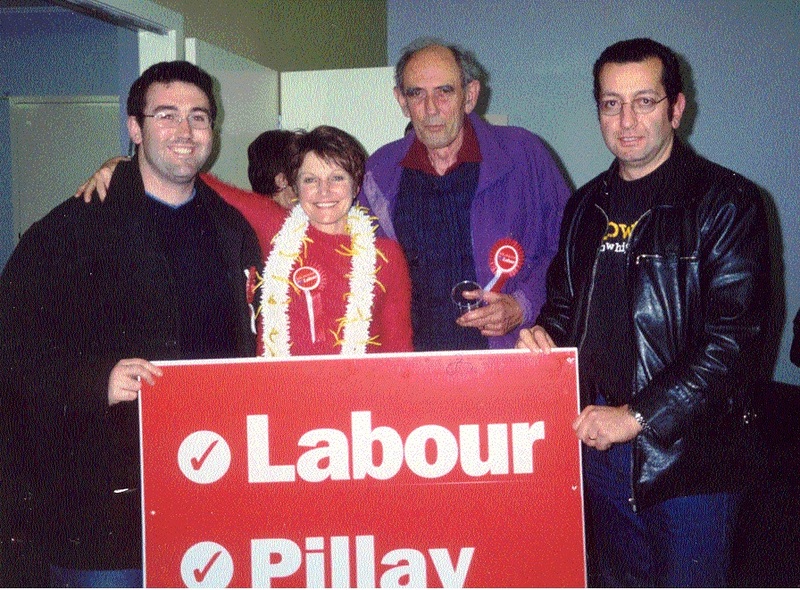 This entry was posted in Campaign History and tagged 2012, auspol, bailey, campaigning, campaigns, clarke, elections, exchange, helen, lynne, mike, NZ, pillay.